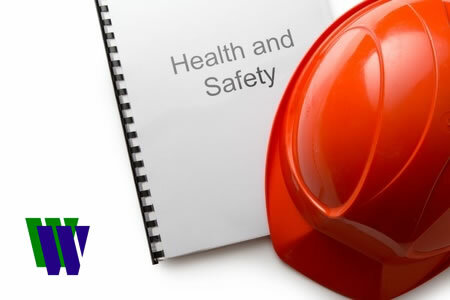 The NEBOSH Diploma in Environmental Management is designed for individuals with responsibilities for the management of environmental risk in relation to the damage caused by work activities. It will be invaluable for those aiming to develop and implement effective environmental management systems within their organisations. Prerequisite(s): The NEBOSH Certificate in Environmental Management [or comparable QCF level 3 award] is the suggested prerequisite qualification for the NEBOSH National Diploma Course. However there are no formal entry requirements set by NEBOSH and those students without the NEBOSH Certificate in Environmental Management will be considered on a case-by-case basis. The NEBOSH Diploma in Environmental Management is designed for individuals with responsibilities for the management of environmental risk in relation to the damage caused by work activities. Environmental Management is a rapidly developing occupation with an estimated 4,000 plus environmental managers in the UK, and some 500,000 managers working in some form of environmental capacity. The NEBOSH National Diploma in Environmental Management meets the academic requirements for IEMA Practitioner (PIEMA) level membership of The Institute of Environmental Management and Assessment (IEMA). Holders will have their application fast tracked, provided that they apply within three years of achieving their Diploma. The Diploma in Environmental Management covers the control measures for major types of environmental risk. It incorporates the main elements of UK and EC legislation for environmental protection and general principles of the management of environmental risk, including; Waste minimisation strategies, Effects of hazardous substances, Energy efficiency and Control of pollution. The Diploma in Environmental Management is assessed by a three-hour written examination and a workplace-based project. Examination scripts are marked by external examiners appointed by NEBOSH. The approximately 4,000 words workplace-based project is internally assessed by the course provider and externally moderated by NEBOSH. Students must successfully complete both parts of the assessment (project and examination) within two years of the result declaration for the first unit successfully completed, in order to achieve the qualification. Block Release [17 day] course – 2 x 1 week blocks, 2 x 3 day blocks and 1 exam day.